SNAFU! : USMC nears decision on Amphibious Combat Vehicle winner. USMC nears decision on Amphibious Combat Vehicle winner. The Marine Corps is nearing a decision on whether BAE Systems or SAIC will build its new Amphibious Combat Vehicle, having just wrapped up operational tests of prototypes a week ago. The Marine Corps is still on track to make an award for low-rate initial production to one of the companies in the June time frame. All government testing of the prototypes concluded the first week of December and the Marine Corps issued its request for proposals the first week in January. Operational tests also began concurrently, John Swift, BAE Systems’ ACV program manager, told Defense News in an interview just ahead of Navy League’s Sea-Air-Space conference. Government testing included land reliability testing, survivability and blast testing and water testing — both ship launch and recovery as well as surf transit. Operational evaluations included seven prototypes each from both SAIC and BAE Systems, six participated and one spare was kept for backup. The first month of operational testing took place at Twentynine Palms Base in California, where Marines ran through a variety of tactical missions with the vehicles. And the following month, the vehicles went to Marine Corps Base Camp Pendleton, California, where it performed littoral penetrations, surf operations and a portion on land, according to Swift. Over the course of the two-month time period — or roughly 10 weeks — the vehicles accrued almost 4,000 miles and over 1,500 mission hours, “which is unbelievable,” Swift said. 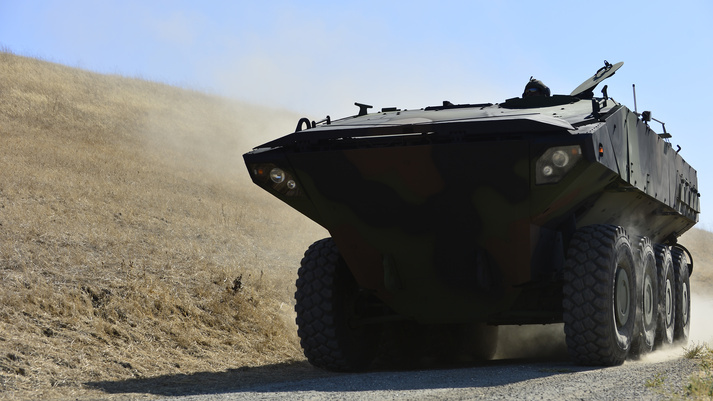 BAE Systems’ partnered with Italian company Iveco Defense Vehicles to build its ACV offering. The Marine Corps awarded both BAE and SAIC roughly $100 million each in December 2015 to build 16 prototypes for the service to test. I'm not even fired up about this thing anymore. Took too long, they obviously slow walked EVERYTHING and they went dark by giving no updates on where they were and what they were doing. Get it done and call me later....Marine Corps ground programs are fucked up from the floor up.